Though River Oaks is truly a 1,100 acre residential community, most locals consider its boundaries to expand beyond the homes. The classy neighborhood is home to a wealth of restaurants and shopping destinations, beautiful gardens, and a classic theatre – all of which are included in this neighborhood hit list of our five River Oaks must dos. Note: For the purposes of this list, the neighborhood of River Oaks is roughly bound by the Buffalo Bayou/Memorial to the north, Westheimer to the south, Dunlavy to the east and 610 to the west. Take in the beauty of the Bayou Bend Collection and Gardens – Housed in the former home of Houston philanthropist Ima Hogg (aka “The First Lady of Texas”), this picturesque garden and art collection is listed on the National Register of Historic Places. Visit it year round to feast your eyes on the majestic formal gardens and woodland ravines surrounding the 28-room historic Southern home, as well as the rare masterpieces of American art and antiques that it showcases. Click here for directions. Catch an indie flick at River Oaks Theatre – Located in the River Oaks Shopping Center, this cool-looking art deco theater was built in 1939. Hit the grand showroom for the best lineup of independent films and foreign language cinema in town, plus special events like monthly midnight viewings of The Rocky Horror Picture Show. Click here for directions. Slurp oysters and enjoy a hearth-fired supper at State of Grace – After killing it with a pack of successful restaurants in Atlanta, Houston native Chef Ford Fry returned home to open up this modern stunner. Chef Bobby Matos helms the kitchen, complete with a massive wood-fired hearth, and pumps out a globally-inspired menu with local flair. Get twice-fried Korean chicken, sticky & smoky beef rib, cheese enchiladas, and hearth-grilled, Thai curry octopus alongside one of the best oyster programs in town. Click here for directions. Hit the patio for happy hour at Brenner’s on the Bayou – While enjoying a steak dinner at the charming lodge restaurant is always a great idea, so is happy hour at Blu Bar, the chic patio bar set right on the lush Buffalo Bayou. Offered Monday through Thursday from 5pm to 7pm, sip $4 craft beers and $7 cocktails, martinis, and wines by the glass as you nosh on tasty treats like parmesan frites, tuna tartar tacos, and Angus chipotle-cheddar sliders. Bonus: the bar is known to host a special happy hour with live music on Sunday afternoons in the springtime (April and May). Click here for directions. Shop, wine and dine at the River Oaks District – The neighborhood’s hottest new feature is full of luxury boutiques, a burgeoning lineup of restaurants and an awesome full-service movie theater. Shop ‘til you drop at upmarket stores like Intermixx, Stella McCartney, and Dior. 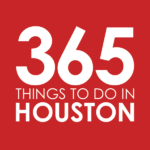 Stop for a bite to eat at spots like the Parisian-inspired Toulouse Cafe and Bar, cool and casual Hopdoddy Burger Bar, sophisticated Vietnamese eatery Le Colonial or high-class steakhouse Steak 48. Finish the night at iPic, where you can catch a blockbuster in the comfort of a cozy pod complete with reclining seats, free popcorn, and a blanket. Oh, and a ninja-like server that will quietly bring you filet mignon sliders alongside a stellar selection of craft cocktails, beer, and wine. Click here for directions.